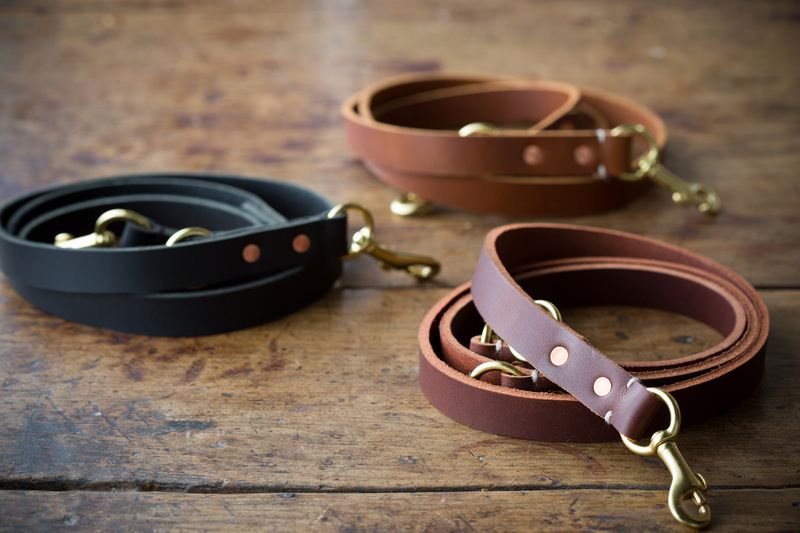 The Rambler Collection features West-Tan buffalo leather collars and leashes. The leash is multifunctional, as you can reposition the handle for a short lead or unsnap the handle for a temporary tie up. 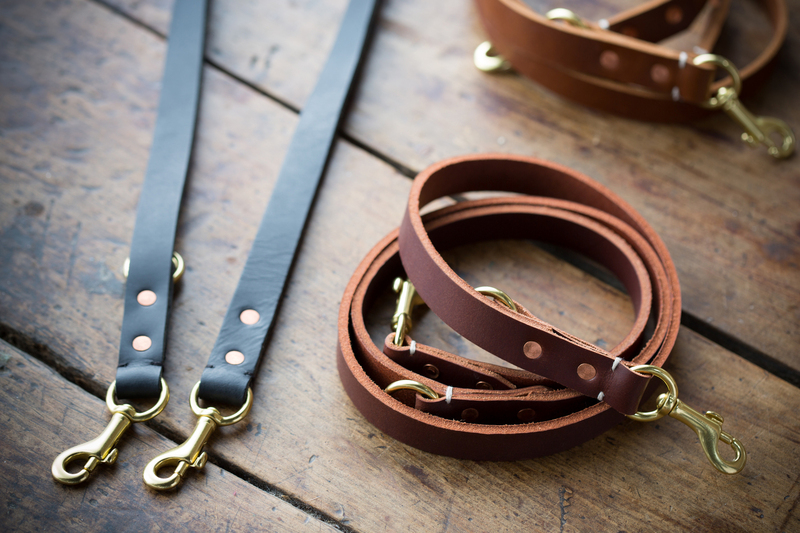 The leash includes an O ring for attaching a spare key or your Monroe Travel Tote! 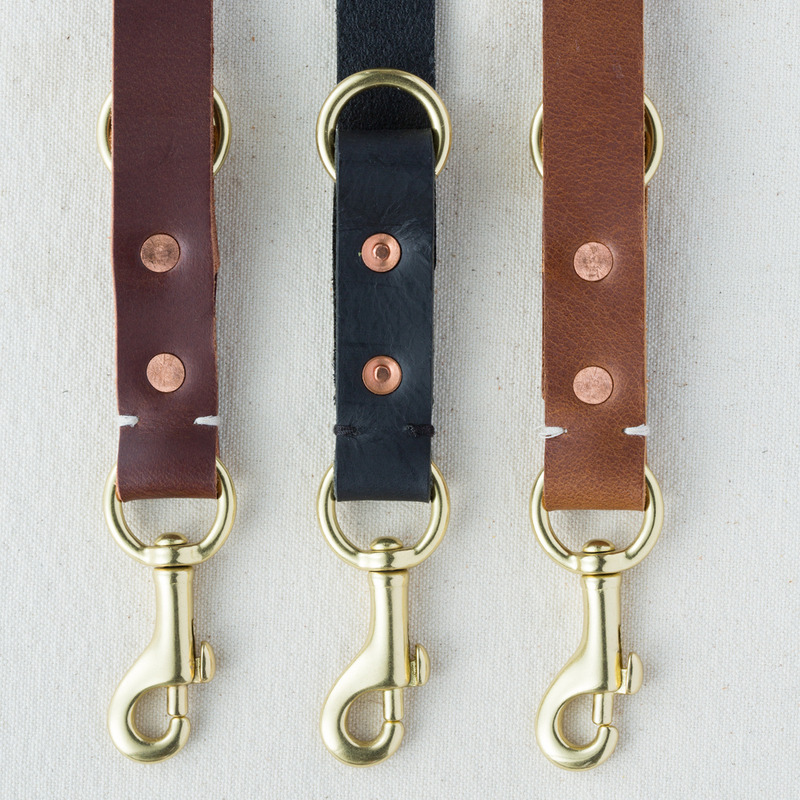 You may also walk two dogs at the same time by attaching their collars to the bolt snaps. 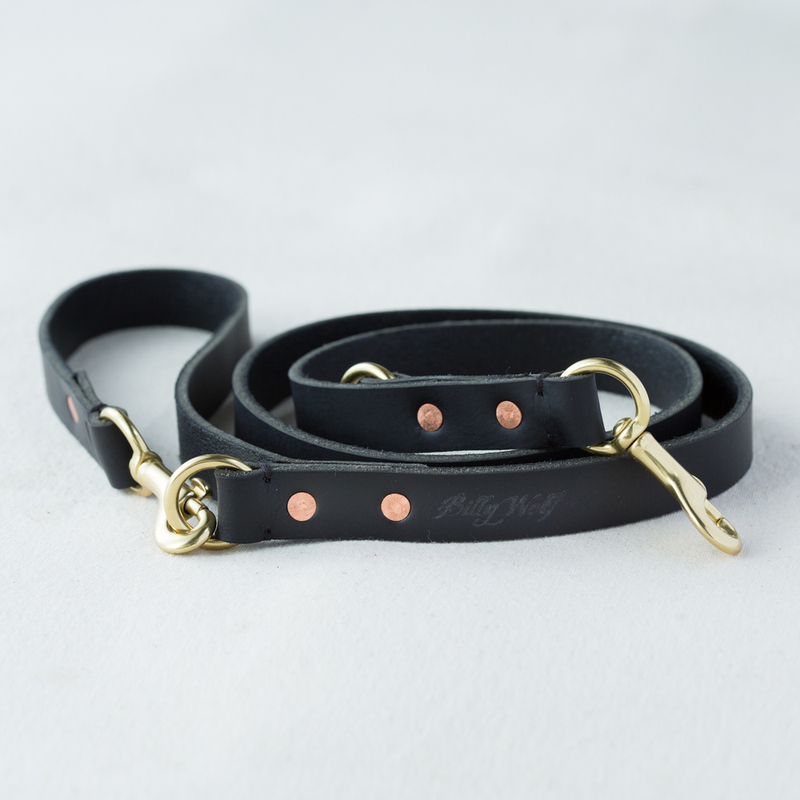 Leash Width: 3/4"; Standard Lead Length: 47"